Home - Andy Esquivel's Scams - Xtagged - We are Billionaires!!! In the following email [PDF] which Andy Esquivel sent on June 29th, 2010, Andy announces to his followers that they are all “Billionaires!!!!!!”. The a doctored image of a mysterious device is then proudly attached to the email in order to convince Andy’s followers that soem new Xtagged invention has been released that will ensure them instant fame and fortune! Unfortunately for Andy, the device was neither an Xtagged product at all, but a prototype LG spart-phone concept from LG (actual photo to the right). Notice how Andy whites out the product details so nobody with an IQ below 20 will realize that he’s stolen the image off the web? 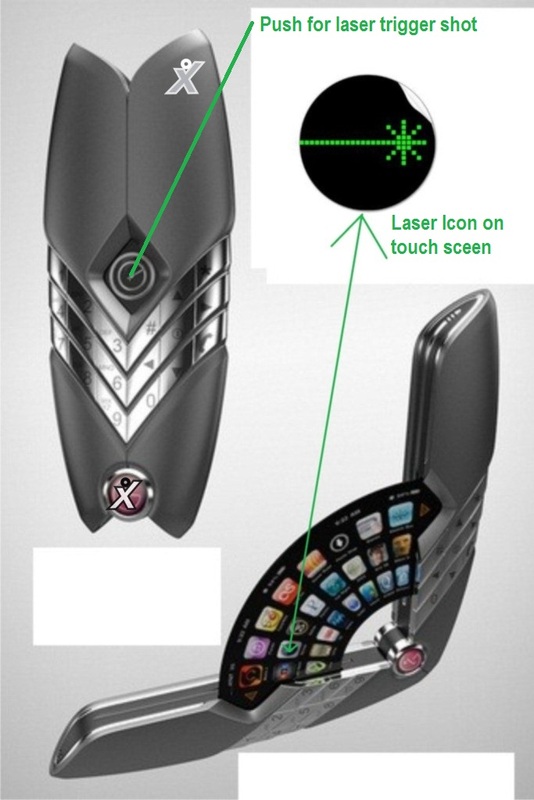 Notice also the amateur “Xtagged” logo added to the device with Microsoft Paint because Andy can’t afford Photoshop? This is one of the last times Andy will affix the Xtagged logo to his falke inventions, because soon afterwards he would start labeling everything as Wiser Technology. it’s amazing hos transparent Andy’s scams were back then! Concept phones always look interesting, though very often the design isn’t practical for day-to-day use if it were made into a real product. The Flutter was an entrant for LG’s recently concluded Design the Future contest that encouraged users to come up with concept designs. This design didn’t win the competition, though it did manage to grab the Prop Master’s Choice Award. When closed, the Flutter looks quite sleek with only its numeric keypad showing, though we’re not too sure how the user is expected to see what’s going on. The phone can be split open to reveal a display that fans out, sporting a user interface that looks like an exact clone of Apple’s iPhone. Don’t expect to see this phone appearing in shops anytime soon.